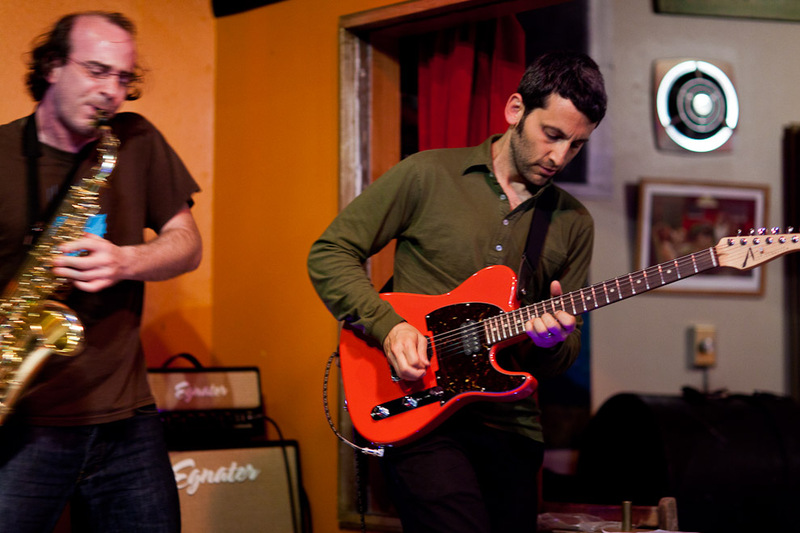 Gutbucket played an amazing set last week at Cafe Racer. 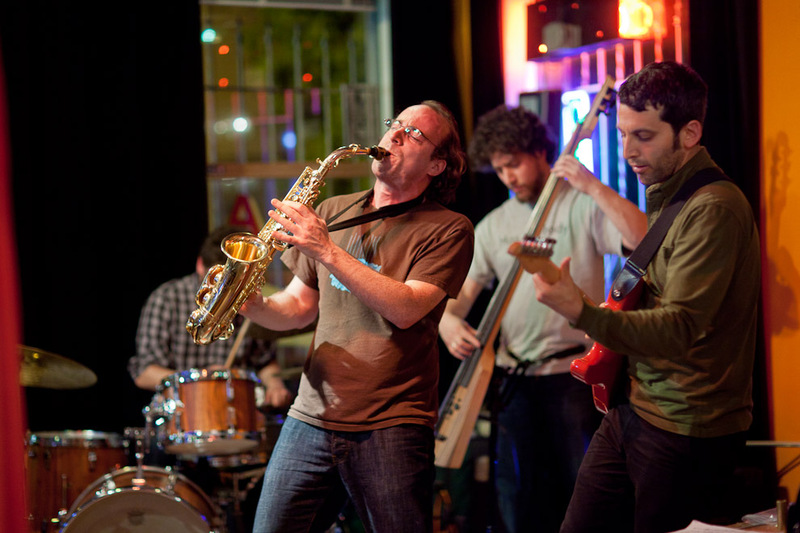 Led by Ken Thomson on sax, they have a powerful output that can blow you away if you are not ready for them. Ask The Ages opened for them so I was prepared and grateful to have watched them perform. Here are some pictures from the evening. 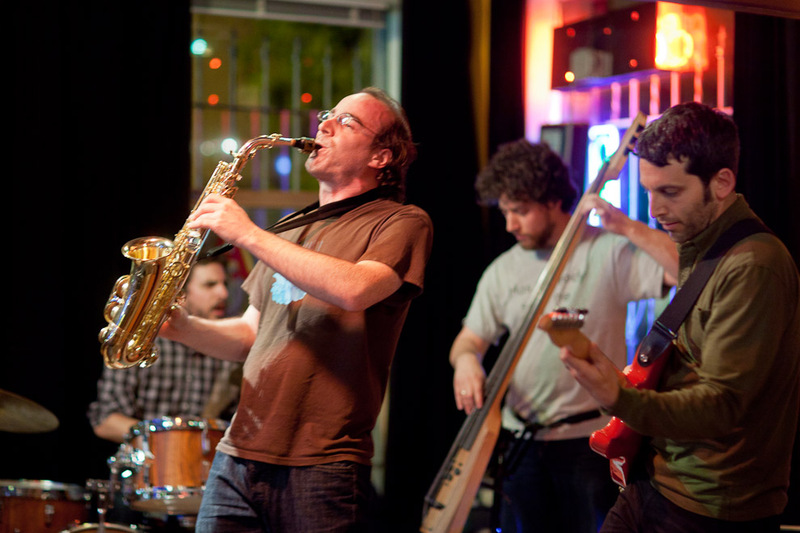 Besides Ken Thomson, Gutbucket consists of Ty Citerman, on electric guitar, Eric Rockwin, on electric upright bass, and Adam D Gold on drums. 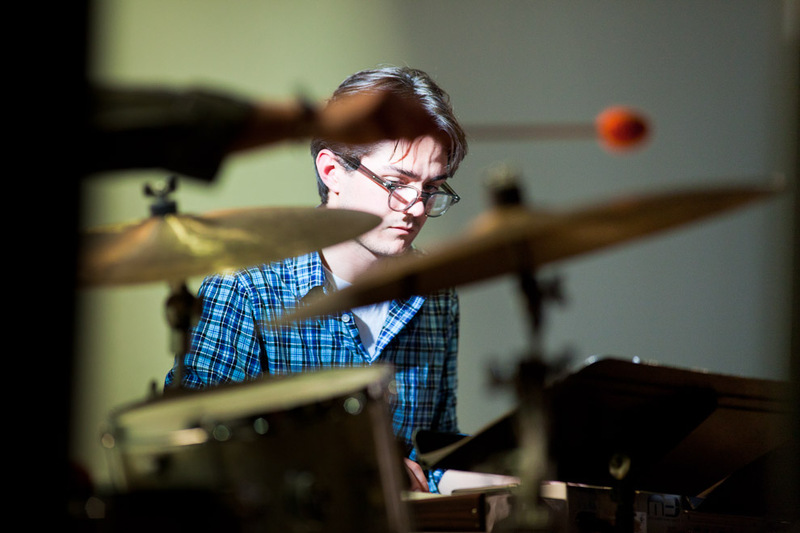 The twelve year-old Brooklyn based quartet pushes composer-driven, art-rock-tainted chamber jazz into new terrain and boldly proclaims its voice. 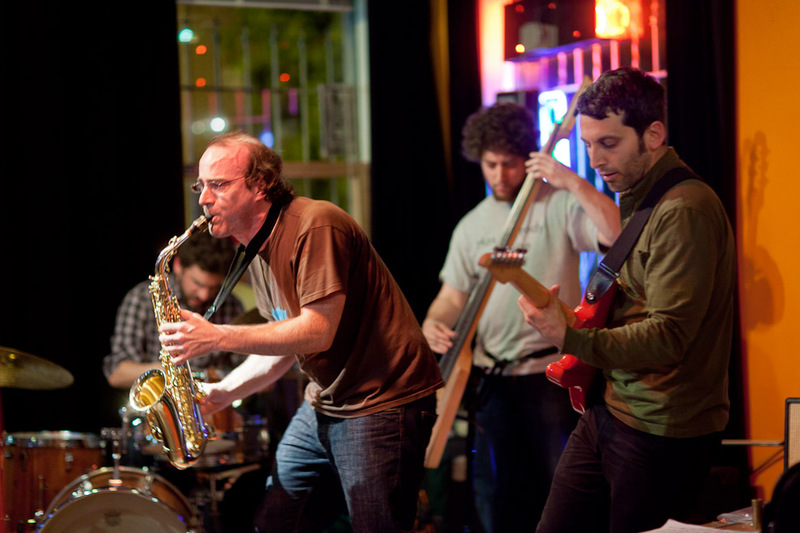 The band was formed in 1999 by three of its current four members just out of college: Ty Citerman, Eric Rockwin and Ken Thomson; Adam D Gold would arrive in 2007. Gutbucket quickly joined the youngest ranks of the blooming downtown NY Knitting Factory avant-jazz scene, holding court during its extended Friday night residency at the former lower Manhattan taste-making club. In early 2001, Gutbucket was rewarded with its first record, Insomniacs Dream, released on the now-defunct Knitting Factory Works label. 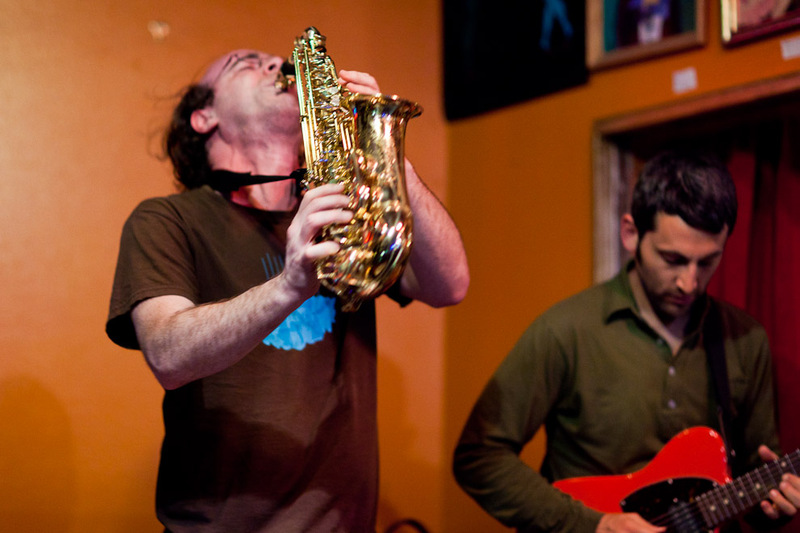 The band began touring Europe that same year, developing an international fan base; and in 2002 Gutbucket debuted at many of Europeʼs highly regarded festivals, including Jazz a Vienne, San Sebastian Jazz Festival, and Worldport. Out of the gate, Gutbucketʼs music challenged New Yorkʼs downtown norm– “a no-holds-barred approach to the jazz-rock paradigm” (The New York Times, 2010)– bringing a completely unique road-tested performance (“Keep all limbs, drinks and small children well clear” – Time Out New York) and a sound that tilted much further towards rock than many of its contemporaries. Gutbucketʼs brand of jazz continues to have its signature biting edge, cunning sense of humor and appreciation for the loud and theatrical. 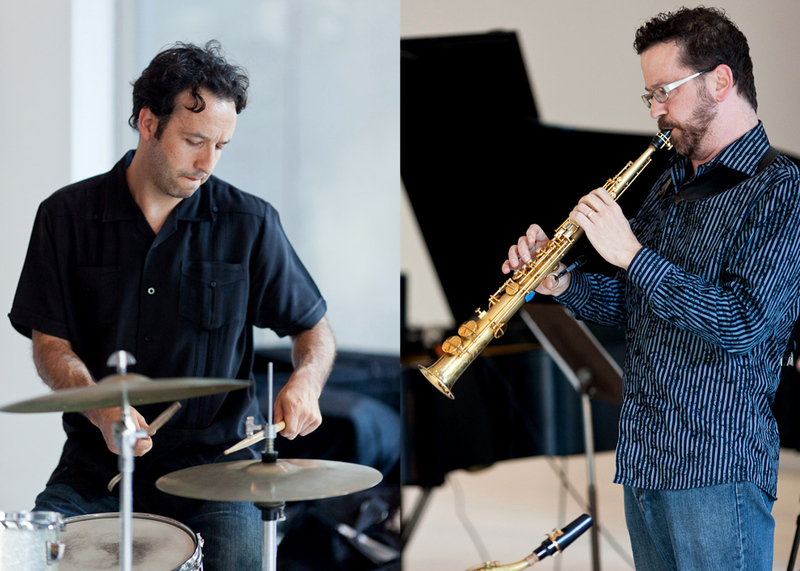 Improvisations are woven seamlessly and sometimes unexpectedly into the bandʼs growing repertoire, and each composer in the group has developed an individual voice that simultaneously supports the collective. From the beginning Gutbucket has had no single bandleader; the result has been an expansive yet unified and recognizable group sound. Continue reading about Gutbucket on their website. 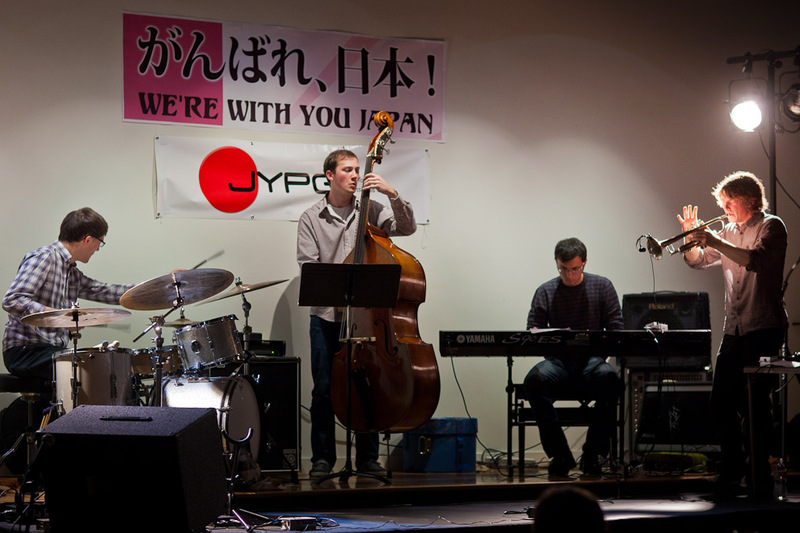 Burnlist with Cuong Vu, Greg Sinibaldi, Chris Icasiano, and Aaron Otheim were the headlining act at this Saturday night concert presented by the Japan Young Professionals Group (JYPG) and Earshot Jazz. Appearing before Burnlist, was vocalist Aiko Shimada, and Chemical Clock performing in a special concert benefiting Japan earthquake relief through the Peace Winds America agency. There was a really good turnout despite the cold rainy night. Cameron Sharif, Ray Larsen, Evan Woodle and Mark Hunter are Chemical Clock. 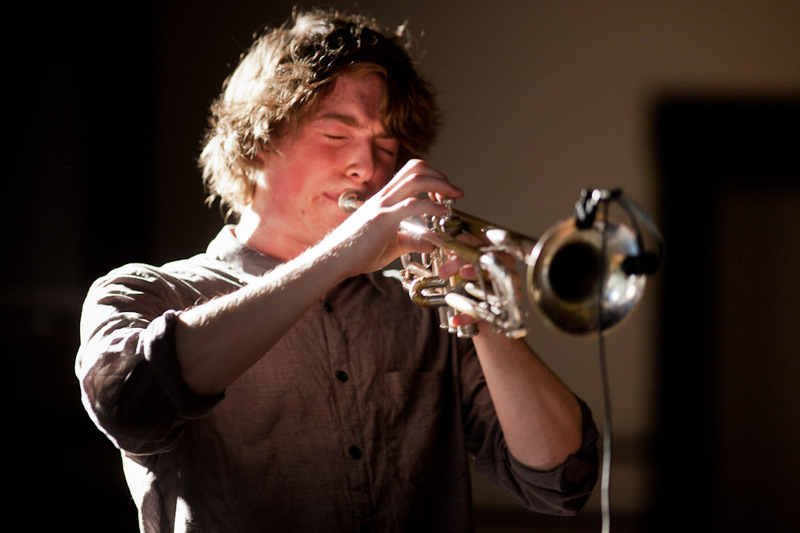 Finding themselves together within the darkened recesses of the University of Washington’s music building, these four undergraduates united in their common desire to experiment in new musical territories — the bleeding-edge kind of stuff they’d never learn about in jazz college. 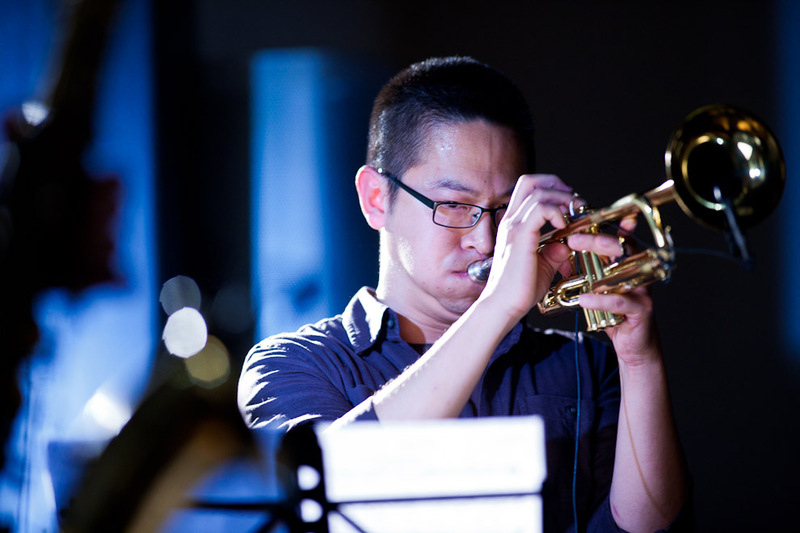 Under the influence of professor Cuong Vu, who fervently supported their artistic explorations, Chemical Clock has taken to it in earnest since the early days of 2009. Ask The Ages played a great set on Saturday night opening up for Gutbucket. 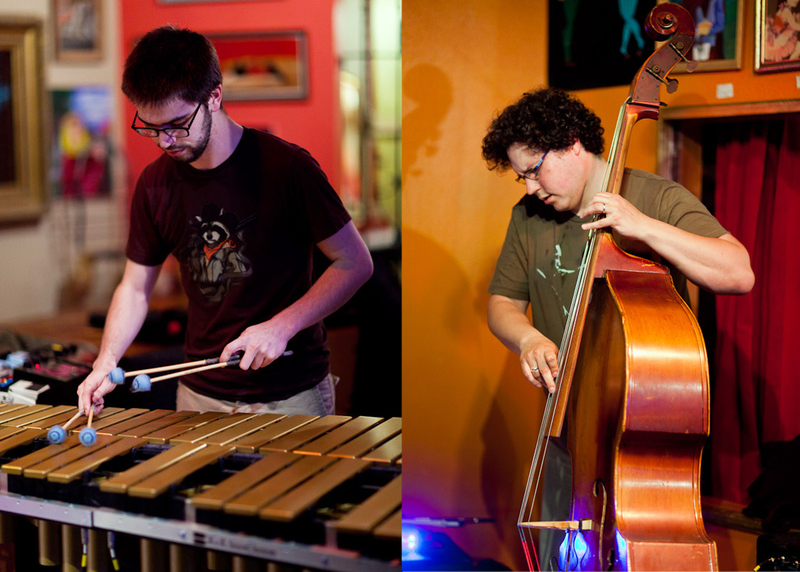 They are Brian Heaney, guitar, Greg Campbell, drums, John Seman, bass, and Steven Bell, vibraphone. Here are some pictures from the evening. 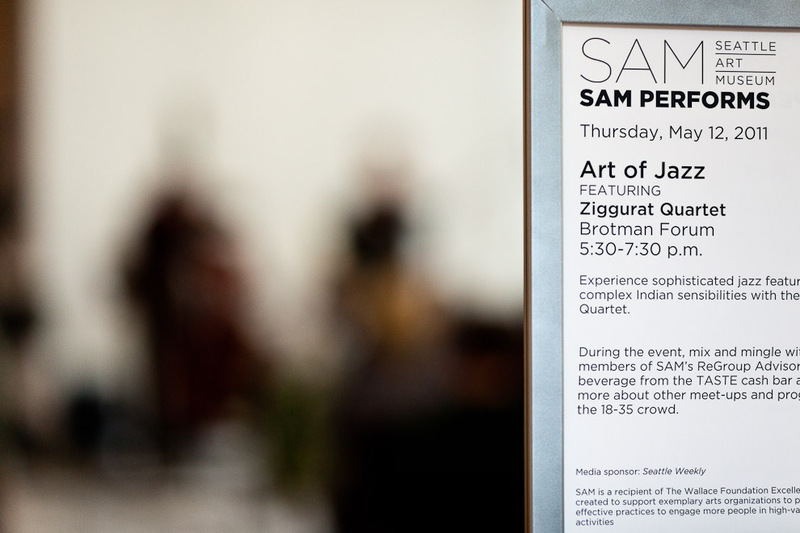 The ZIGGURAT QUARTET Performed at the Seattle Art Museum on last night as the Earshot Jazz Series ” Art of Jazz” continues. 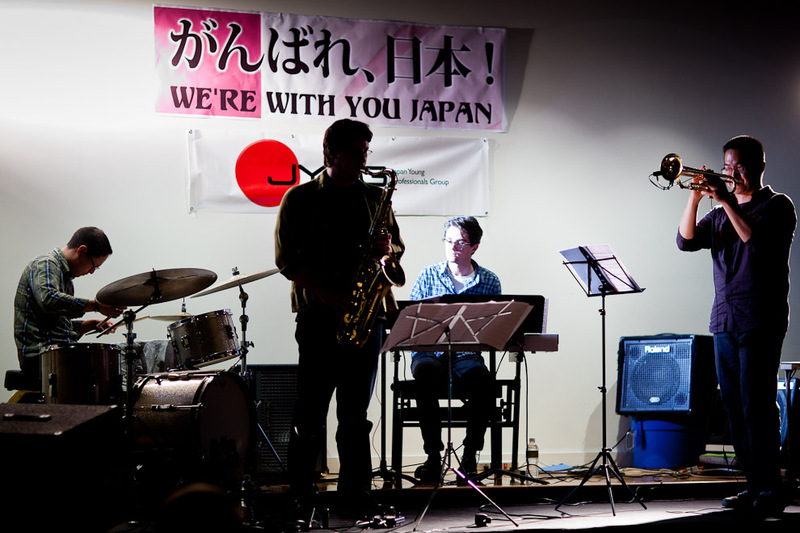 A good turnout heard the band’s expression of “rhythmic experimentation which drives the ensemble’s complex original compositions. 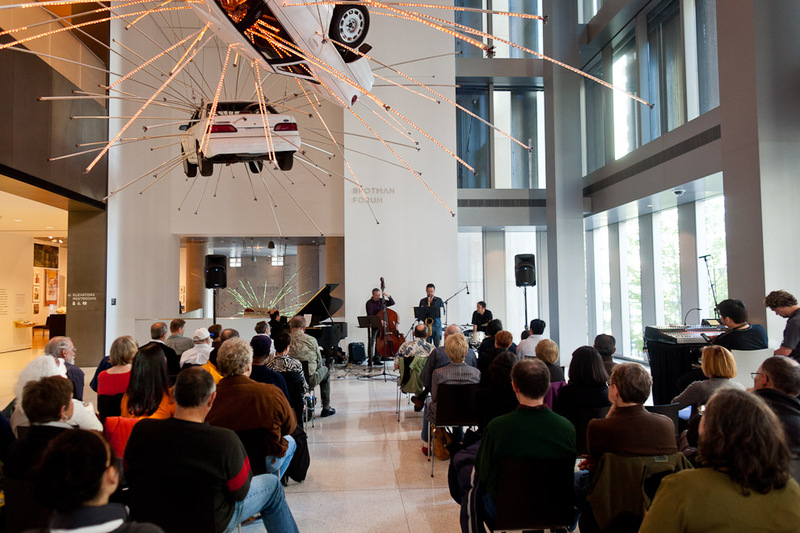 Many of the pieces were deeply influenced by the rhythms of East Indian music, as well as jazz and contemporary chamber music.” Here are some photographs from the performance. 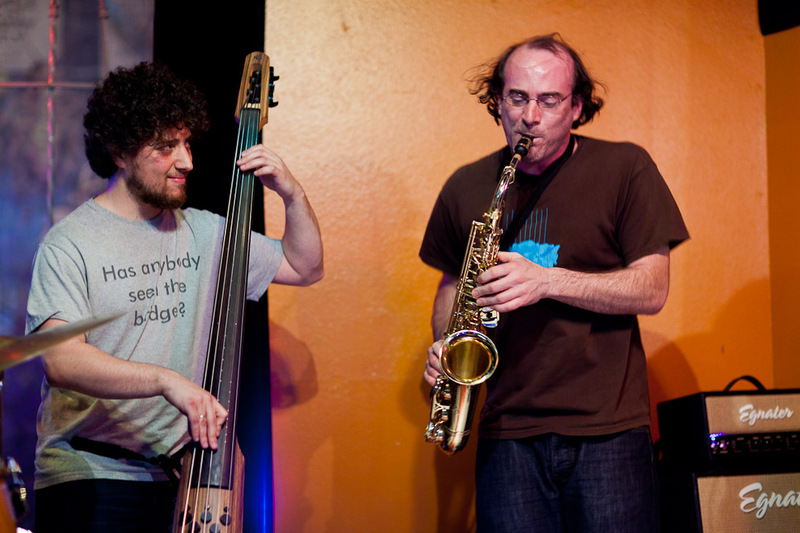 Bassist Chris Symer and Eric Barber on saxophone . 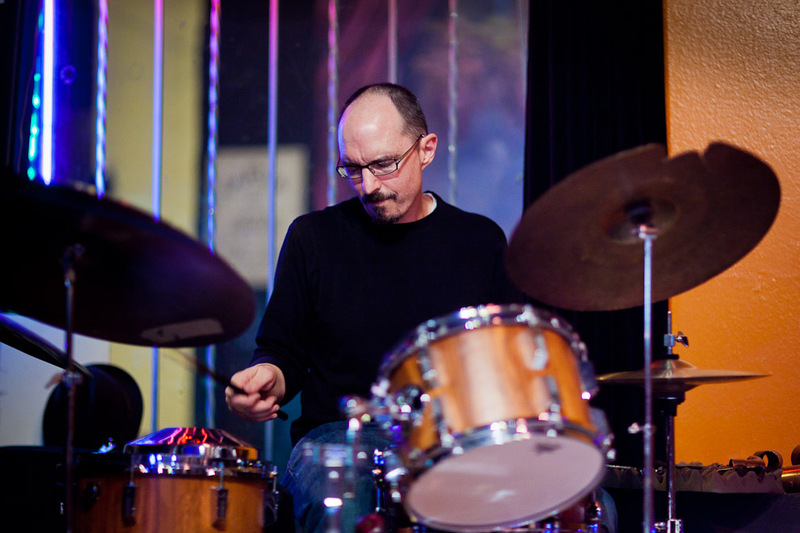 Drummer Byron Vannoy and Eric Barber. 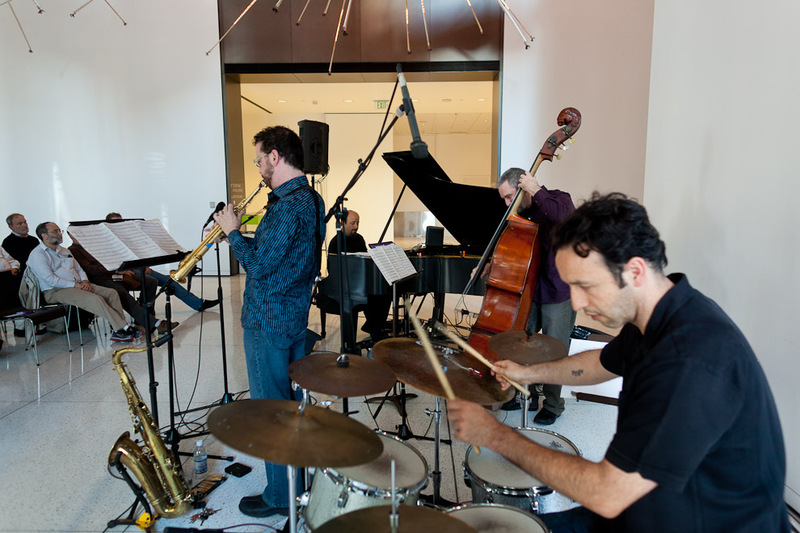 Despite working in the “standard” jazz quartet format of horn, piano, bass and drums, the ensemble comes up with a vital and visceral approach that sounds sui generis. 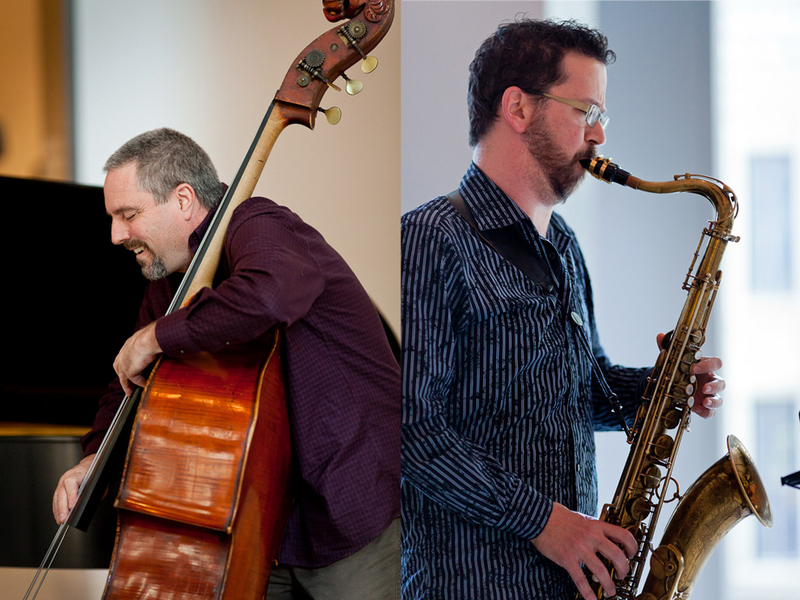 The repertoire is entirely original compositions by Bill Anschell, Eric Barber and Doug Miller. 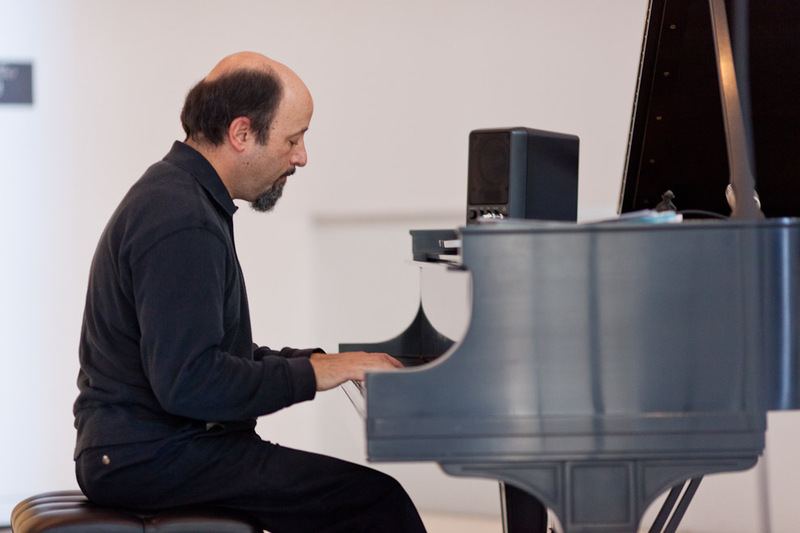 Pianist Anschell’s knowledge of Carnatic music strongly influences the complex rhythms and patterns in his compositions. 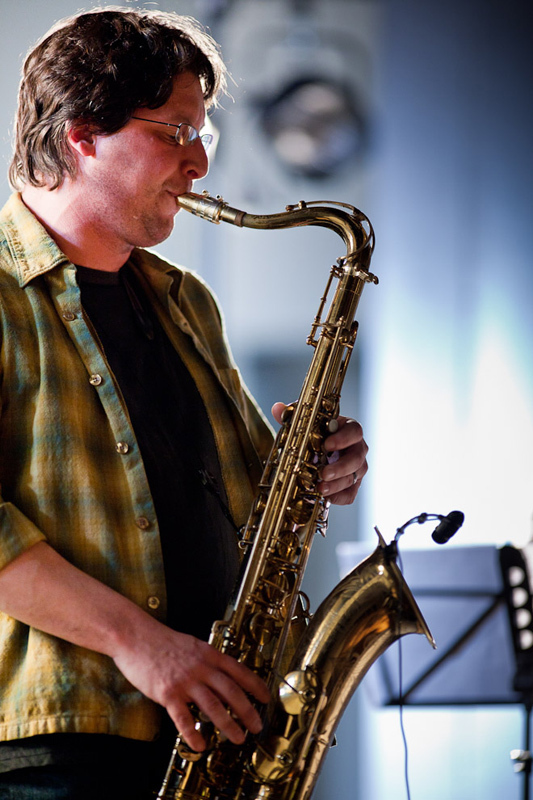 Saxophonist Barber also has a deep interest in the music of India, plus that of the Balkans and Hungary; the asymmetrical meters and surging cross-rhythms that result swing in a decidedly unconventional but still infectious manner. Although still dealing with odd meters, Miller’s tunes have a bit more of a traditional focus in terms of singable melodies. Anschell is well-known as a humorist and writer in addition to his impeccable credentials as a musician. His long tenure with vocalist Nnenna Freelon as musical director, arranger, composer and pianist included a Grammy nomination for her 1996 Shaking Free. Anschell’s recordings under his own name have been warmly received. 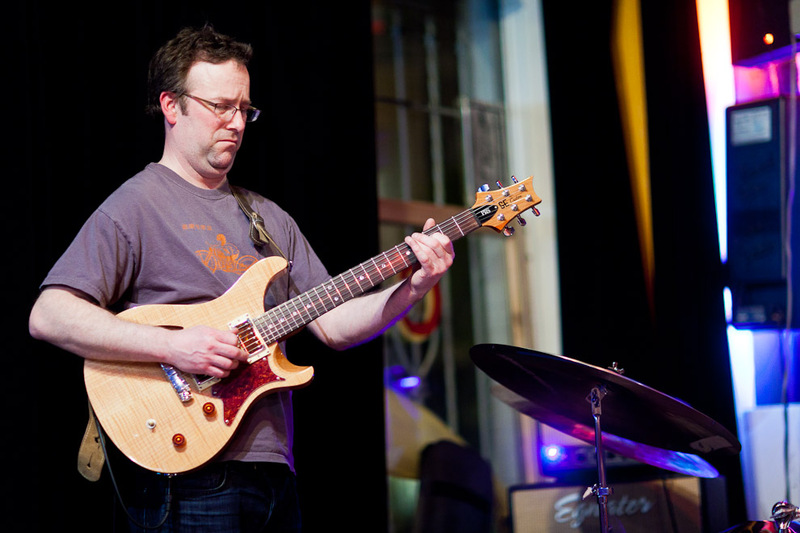 Barber has collaborated with a long list of adventurous musicians, including Nels Cline, Mark Dresser, Vinny Golia, Wayne Horvitz, Wadada Leo Smith, Tom Varner, Nate Wooley, and Glen Velez. 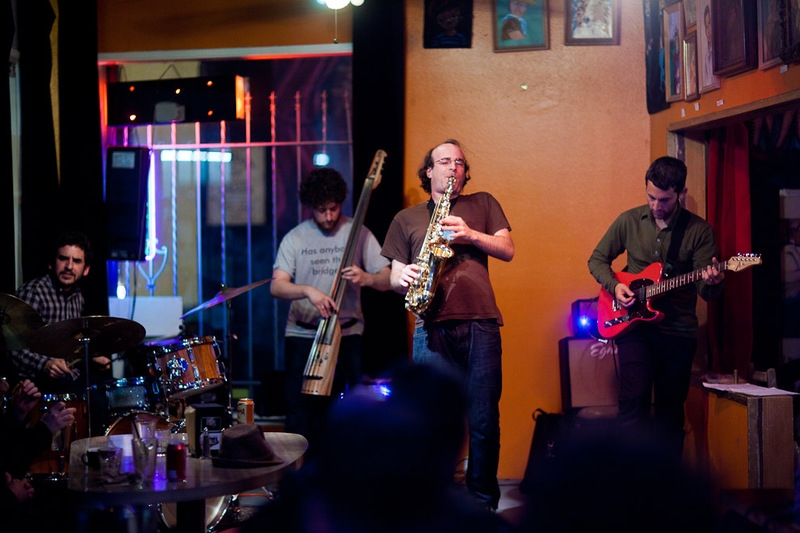 A rising force on the Emerald City jazz scene, bassist Chris Symer is quickly becoming one of the most in-demand bassists in Seattle.